Well it’s time for another first… but this is scary! I have just handed over a show to my assistant director, Seth Robinson, before the last two dress rehearsals! Now, I can’t complain too much. I’ve done this because I’m off to Fiji to attend my nephew’s wedding, but it really is scary to think that this show will go on without me. Even at opening night! It’s not that I don’t think the cast is ready; they could open tomorrow and be fine, I’m sure, but I’m not ready to let it go! I mean, I’ve slogged away for the last two months with them, and they’re about to step up and perform, and I won’t be there to enjoy it! 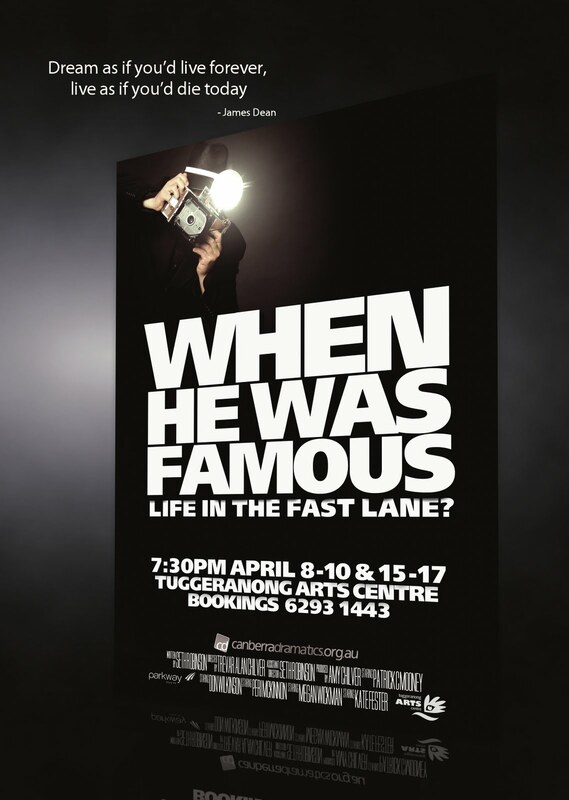 Still, that doesn’t mean the rest of Canberra shouldn’t; so if you haven’t booked your tickets yet, call the Tuggeranong Arts Centreand tell them you’re coming!